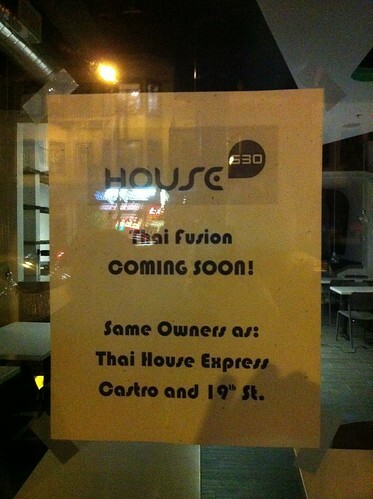 The perpetually vacant spot on Valencia between Blondie’s and Limon finally removed their plywood to reveal… yet another Thai restaurant! If at this point you’re wondering whether there’s more Thai restaurants or Thai people in San Francisco, I think it’s safe to bet on the restaurants. As Grub Street reported several months ago, this spot was previously a punk venue with a strange history.